Orthoimplants: an alternative treatment for SAHS? Numerous sleep studies have been published recently regarding the use of intraoral devices (ODs) for the treatment of sleep apnea–hypopnea syndrome (SAHS). The effectiveness of these devices varies, however, according to the series studied (patient characteristics, parameters assessed, type of device, etc.). Two factors should always be assessed: the presence of an appropriate dental support and a possible temporomandibular joint pathology which can, on occasions, contraindicate the use of these devices. To use orthoimplants as orthodontic anchorages for intermaxillary elastic bands which allow a mandibular advancement to be performed as an alternative treatment to ODs in SAHS patients without appropriate dental support. Four orthoimplants were placed in an edentulous SAHS patient who did not tolerate continuous positive airway pressure (CPAP). The mandible is pushed forward using orthodontic elastic bands anchored to the orthoimplants. 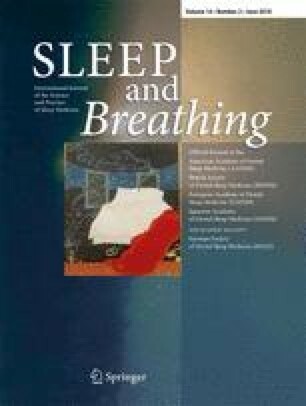 Although more studies are still required, orthoimplants could be an alternative treatment for reducing snoring and the apnea–hypopnea index and increasing SaO2, which should be considered for patients who do not tolerate CPAP and lack appropriate dental support for attaching intraoral devices. The authors declare that they have no conflict of interest. The authors warrants that the article is original, does not infringe upon any copyright or other proprietary right of any third party, is not under consideration by another journal, has not been previously published, and includes any product that may derive from the published journal, whether print or electronic media.